The EFIPSANS project aims at exposing the features in IPv6 protocols that can be exploited or extended for the purposes of designing or building autonomic networks and services. In the long run, the project's objective is to establish a standard for the specified autonomic behaviour specifications, the identified exploitable IPv6 features and new protocol and architectural extensions. Therefore, a study on the emerging research areas that target desirable user behaviours, terminal behaviours, service mobility, e-mobility, context-aware communications, self-ware, autonomic communication/computing/networking will be carried out. Out of these research areas, desirable autonomic (self-*) behaviours (AB) in diverse environments, e.g. end systems, access networks, wireless versus fixed network environments, will be captured and specified. Appropriate IPv6 protocol or architectural extensions that enable the implementation of the captured desirable autonomic behaviours will be sought and specified. A selected set of the specified autonomic behaviours will be implemented and demonstrated. Also, technical reports on the concrete IPv6 feature combination scenarios including any new extensions used to implement the selected set of autonomic behaviours will be presented. 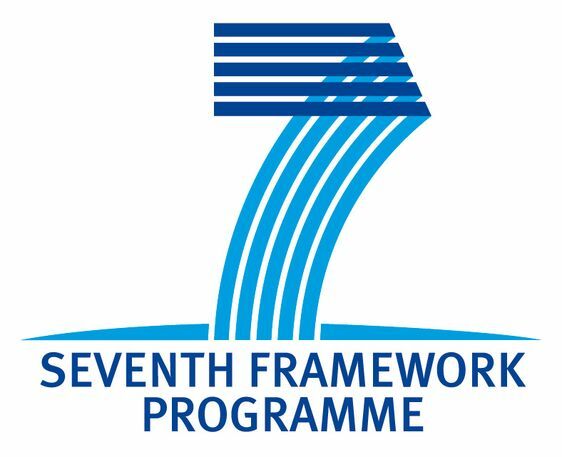 The project’s ambition is to start/initiate the standardisation process of the autonomic behaviour (ABs) to be specified in EFIPSANS, the identified exploitable IPv6 features and new “EFIPSANS-defined” protocol and network architectural extensions required to implement the “EFIPSANS-specified” autonomic behaviours. Produce standardisable, protocol-agnostic Autonomic Behaviour Specifications (ABs) for selected diverse networking environments. Use the ABs to create and drive an evolution path for today’s Networking Models, Paradigms and Protocols, in particular IPv6, towards Autonomic Networking and Services. Self-adaptive routing in the core network, collaborative self-diagnosing network-wide behaviour, dynamic self-configuration, self-association in end systems, self-healing across protocol stacks and the network as a whole, etc. In general: more robust/reliable network infrastructure with adaptive service delivery capability and reduction of OPEX at the same time. For manufacturers (Ericsson, Alcatel-Lucent, Fujitsu), the specifications of Autonomic Behaviours (ABs’), the identified exploitable IPv6 features, together with new “EFIPSANS-defined” protocol and network architectural extensions required to implement autonomic behaviours in networks and services, will give an opportunity to implement novel extensions to IPv6 protocols and networking components in order to offer extended features in their products. For network providers (Telefónica, GRNET), service providers (Velti, Telcordia), researchers (Fraunhofer, UL, TSSG, ICCS, BUPT, WUT, TUB) and other potential users of IPv6, the ABs’, the identified exploitable IPv6 features and the new complementary protocol and network architectural extensions will give a good picture on how to view IPv6 and the extended features as a platform for designing/building autonomic networks and services. This will also give them a chance to think and contribute innovative ideas on the use of IPv6/IPv6++ protocols. Essentially, this will also help in closing the gap between IPv6 and autonomic networking.